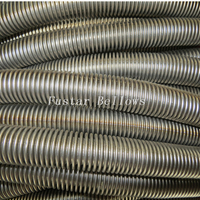 Our company is one of the best professional manufactueres/suppliers for bellow expansion joint in China,providing many selling hot kinds of bellow expansion joints,including bellow expansion joint of metal,stainless steel expansion joint,rubber expansion joint and so on. Our dual axial expnasion joint works in the same way a hinged expansion joint does.It utilizes the ability of a bellows to rotate in angular direction.The axial movement capability is the result of the angular rotation of the bellows and their center to center distance. The longer the distance between the bellows, the larger is the movement capacity. 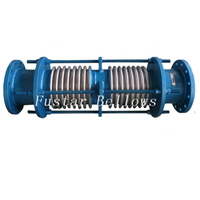 We can provide this type DN25~DN2000mm pure PTFE compensators with one to nine No.s convolutions; Fatigue times:≥5000 times. 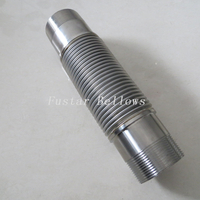 Since 1995, Jiangsu Fustar Bellows factory has grown up to be the leading professional manufacture of pipeline fittings mainly including flexible metal hose, bellow expansion joints, fabric expansion joint, vacuum hose,rubber expansion joint, stainless steel expansion joint,PTFE bellows, rotary compensator and other products. 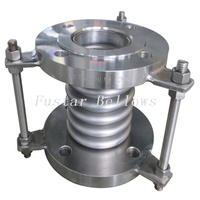 Bellows Expansion Joint End Connections Flanges Any flange style can be added to a bellows for bolting into a system.Forged stell or plate flanges to match the pressure and temperature ratings of ANSI Class 150 or ANSI Class 300 are standard. A FUSTAR is a family owned manufacturing company specialising in the correct design, manufacture and supply of stainless steel flexible hoses, bellows ,expansion joints and pipe fabrications. 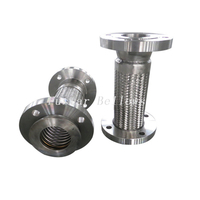 Q Can You Manufacture Flexible Metal Hose & Expansion Joint To My Requirement? A Yes, we can tailor our flexible metal hoses and metallic bellow expansion joint to your requirements, just get in touch for more information. Zero safety accidents in the past 20 years, 2- Year free after sale service,and all products certificated.Especially in metal bellow expansion joint,steel expansion joint,rubber expansion joint. 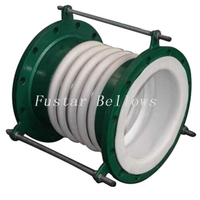 Competitive price for all our products.The bellow expansion joint, steel expansion joint,rubber expasnion joint are good for all of you,with best service. More than 50 countries customers , good reputation for 20 years.Welcome every customer come to visit from worldwide, glad to arrange everything once you come. Copyright © 2016 Jiangsu Fustar Bellows Co,.Ltd All rights reserved.